Two modern variations of heavy metal appear on my list today. The added richness of more complex compositions and instrumentation doesn’t always appeal to “mainstream” heavy metal fans. Regardless, the old heavy metal roots are strongly evident. In my ancient, creaking mind, there’s still not much that can beat that chunka-chunka guitar sound, the powerful riffs, the soaring solos and those high tenor vocals. Opeth becomes the first band to have two Top Songs of the Year on my very personal metal list. My other two in the top three for 1998 are also Scandinavian. Yet I still don’t like rollmops. 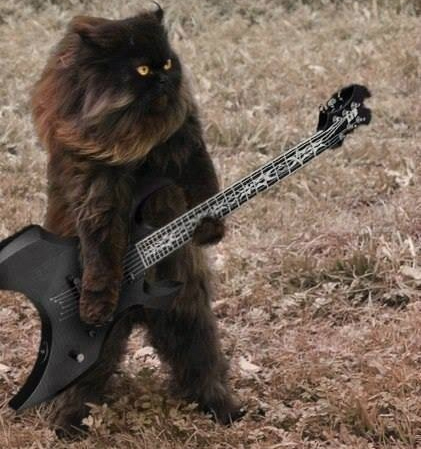 Black Metal Cat says he’ll eat my share any time.